Horizontal Pitch: Who is Gattobus? Gattobus: My real name is Gianni Proietti. I was looking for an original user name when I registered my Youtube account, years ago, and because of my love for Miyazaki’s movies, I chose the Italian translation for “neko-basu” that is gattobus. I started making videos just for fun, every night after dinner… My account became famous thanks to some videos of me covering Daft Punk and Jean Michel Jarre songs. At that time I was working in a musical instruments store, so I was lucky enough to have all the coolest instruments on the market. Music has always been a very important aspect of my life, synthesizers are my passion since I was a teenager. I like to play and making new sounds with them and over time I found myself studying every aspect of sound synthesis. Now I’m working as a teacher in a music school, I teach how to make sounds and how to properly use a synthesizer. I also have a personal studio, I compose original music and create sound libraries. Sometimes I am also hired as demonstrator for important brands, so I consider myself very lucky because I’ve found the perfect fit between passion and work! HP: I remember some of your older videos being one of the reasons I got some wonderful gear. What led you to eurorack? GB: Well, it all happened recently. Until 5-6 years ago, modulars were considered tools for geeks or DIY technicians. Those people were merely considered as musicians. I had a couple of friends, back then, that already had a case full with strange DIY modules. I was fascinated but never had the guts (not to mention the money) to dive into that world… since recently, of course. 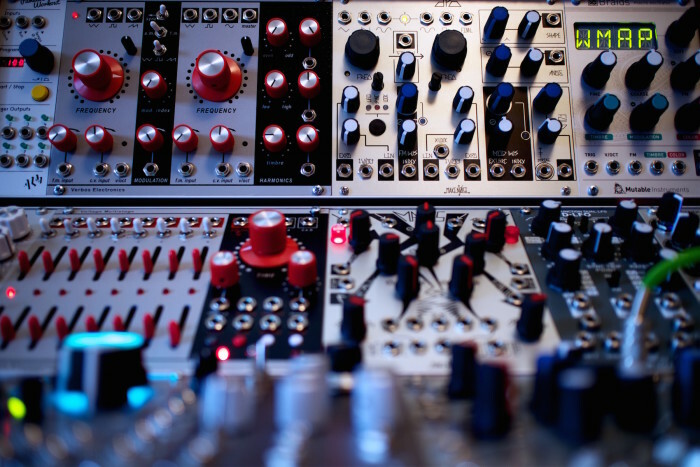 I have always been fascinated by Don Buchla modulars… so I started looking for the right eurorack modules to recreate that particular kind of sound, using the west coast style approach to synthesis. I put down on paper a sketch of how I would like it to be and then… with big efforts and lots of money I began assembling my own eurorack modular system. HP: would you care to tell our readers something about the Italian modular scene? GB: There are a lot of people in Italy that are making music with modulars actually and the community is still growing. I think that we are only at the beginning. There is a lot of curiosity around this kind of instruments, maybe because they give you more freedom than any other synth. People who enter this world can feel for the first time the incredible sensation of sailing in uncharted waters… but at their own risk, I would say! New startups are also emerging from this scene here in Italy, producing great modules and cases, like my friend Davide Mancini’s Soundmachines or Simone Fabbri’s FrapTools. 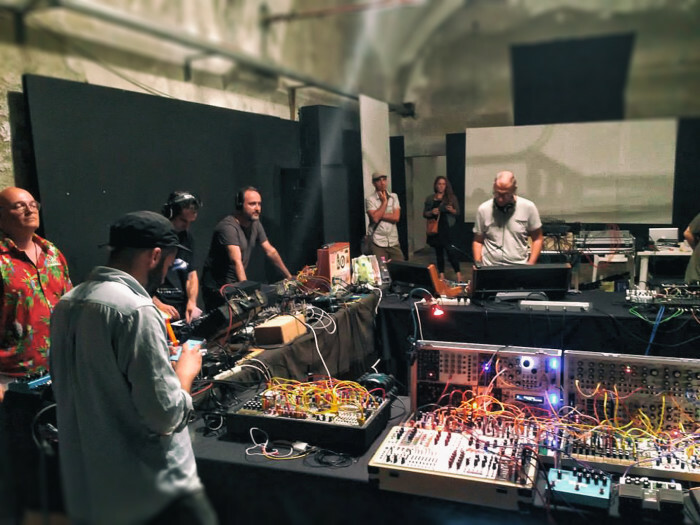 Last year I had the chance to perform at Acousmatiq, a very important electronic music festival in Ancona where I shared the stage with other great artists from my country. It was a great experience. We all performed together with our modulars and it was really great fun. We also had a warm response from the audience, they probably were fascinated by our strange blinking instruments and by the weird sounds. There is a sort of special empathy among the musicians that play modulars… we may have different approaches, but we all share the same passion and the same madness! HP: Let’s go back to “Escape (from the dream)”: would you care to elaborate what’s going on here? GB: Well… a lot of things are going on here… 😛 Essentially, it’s a four bar loop where the bass part and the harmony are driven by a sequencer (Makenoise René). The bass sound is generated from the Makenoise DPO that goes through the Optomix, a Vactrol controlled VCA that I use to recreate the “Buchlesque” classic sound. The other synth lines come from the dual oscillator (Verbos Complex Oscillator) passing through the TB Triple wave folder and a waveguide delay (CG1022). The main lead, that I’m playing with Makenoise Pressure Points, is generated by the Mutable instruments Braids Oscillator in Wavetable mode, passing through the MMG filter. There are a lot of other modulations going on, that involve a random generator (SSF Ultra Random Analog) and a Cwejman D-LFO, but I don’t remember how I patched them exactly, sorry… A modular patch is like a mandala, at the end of the performance you have to un-patch and destroy everything you’ve created. Every patch has a life on its own, it’s impossible to keep on mind all the connections because they are part of a structure that was born from a specific idea so it’s always different. HP: what’s your view on the subtle interplay between programming, patching and performing? GB: This aspects are always linked each other to me. When I create a patch I already have the basic structure of it in my mind. I know what I want to do, I know the direction where I want to go and the way I want to perform the song. This kind of approach of course requires a deep knowledge of the modules in my rack. Sometimes it happens that the results are slightly different from what I thought, sometimes other ideas jump in my mind while patching, but in the end I always reach the goal I have in my mind… if I don’t run out of cables first! HP: What’s your usual approach to sound creation? Do your dreams become a patch or is it the other way round? GB: Sometimes really happened to me, to dream at night of a particular sound or to imagine experimenting a particular kind of modulation I’ve never tried before… then I run in my studio in the middle of the night, trying to put it into practice. Sometimes something good comes out, sometimes not… I’ve spent a lot of time together with my modular system, which is not so big, it’s only four rows of 84HP. Surely I haven’t tried everything’s possible with it, this kind of systems are very deep indeed. Sometimes I stop experimenting and I find myself following the same steps to recreate a particular sound that I use the most. It depends from my inspiration and from what I want to achieve. There is always an idea behind a song or a particular project. For me, starting a patch without an idea or a particular inspiration, is like diving into the ocean, I risk of loosing myself. HP: who and what influences your music? GB: I always try to convey my emotions through the sounds and through my melodies. My music is never calculated, it’s always generated from my feelings. Sometimes it takes months before I find the right mood, sometimes I record three songs in three days. It depends from my inspiration, I cannot force myself to play even if I would like to… sometimes it’s frustrating, but the secret is to have patience and to let everything flow as it should. Of course there are artist that influence my way of making music. 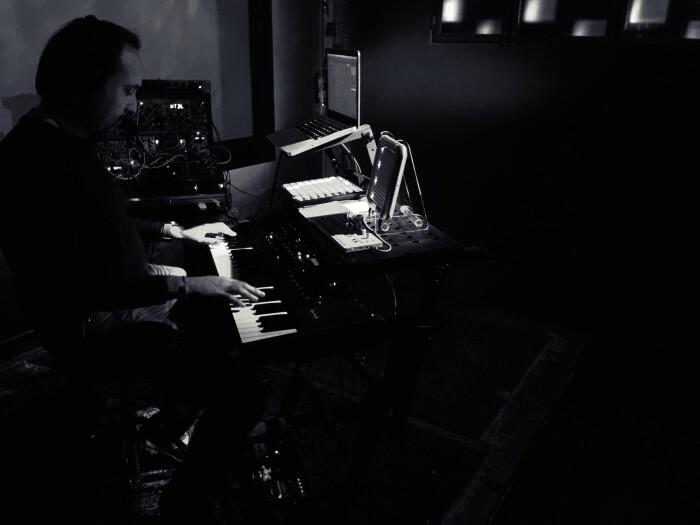 Alessandro Cortini is one of them, with his melodic approach to modulars, but also the duo Reznor/Ross with their incredible dark atmospheres. I love Brian Eno’s ambient works, Benge, Ryuichi Sakamoto, The Knife, Bjork, Sigur Ros. Sometimes I also find inspiration also in other music genres. Pat Metheny is one of my favorite musicians ever and I also like Japanese anime songs. Yoko Kanno is a musician that has deeply touched my heart and influenced my way of making music. GB: Well… not really. I think of all the modules together as they were a single instrument. They complement each other because they are part of the same idea that I had in mind when I began assembling my modular system. Of course there are modules to which I am particularly fond of, like the CG 1022 Delay, the TB Triple Wave Folder, the Makenoise Optomix, Maths or RT Stoicheia. At the moment I think I have found the perfect balance in my system, so I’m very happy with it. HP: Small portable skiff or huge wall of modules? Instrument or sound design tool? GB: My approach to the modular world is to use modules to build a specific instrument. I will never have a wall of modules. I would end up loosing myself and not being able to focus. I’d rather prefer to have a lot of little systems, each with their own concept and approach. Over time I realized that I’m more productive and creative when I focus myself on a specific instrument instead of using lots of stuff all together. A modular system, or a synthesizer, for me, is essentially an instrument but it’s also a sound design tool, because when I think of an emotion, I try to describe it using both melody and sound. HP: What’s coming in Gattobus’s future? GB: Speaking about my job, a lot of possibilities are opening up to me lately, but it’s hard to tell. I live day by day. For my music I don’t have particular projects but I do always have big dreams. Of course I will never stop playing and making sounds. If that would happen, I will be dead. If you want, you can keep on following me on my channels, Youtube, Soundcloud and Bandcamp. I will keep on delivering you what’s in my heart, no doubt and I will keep on getting excited playing and programming my beloved synths. Forever and ever. See you soon!